Express Scripts and Anthem have been locked in a feud for more than a year after Anthem claimed Express Scripts withheld billions in savings and overcharged Anthem for its services by $3 billion annually. In an about-face, Anthem announced on Friday that it will sell on- and off-exchange plans in 68 of Virginia's cities and counties. The national insurer in August said it would stop selling plans on Virginia's individual insurance exchange in 2018, a move that would have potentially left consumers in 63 cities and counties without any individual insurance options. Indianapolis-based Anthem said its decision would positively impact up to 70,000 Virginians.Indianapolis-based Anthem said its decision last week would positively impact up to 70,000 Virginians. The additional five counties of the 68 had at least one other insurer operating. Once again, there are no longer any "bare" U.S. counties, though that could change before Sept. 27, when insurers must finalize participation in the marketplaces. "Since learning that 63 counties and cities in Virginia would not have access to individual health plans, Anthem has been engaged in further evaluation and discussion with regulators to ensure that no bare counties or cities exist in the state," the insurer said in a statement. Insurer Optima Health also recently filed to sell coverage in five of those counties and cities, a spokeswoman for Virginia's Bureau of Insurance said. 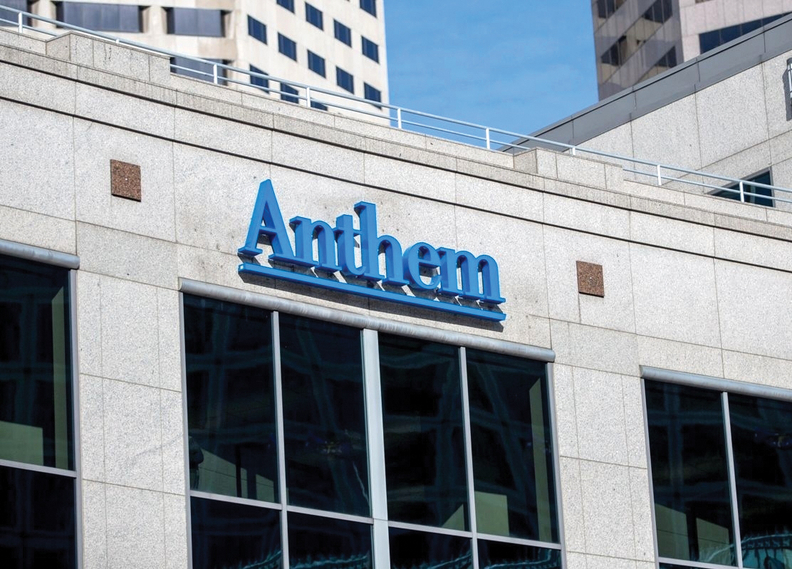 Anthem, which has been scaling back its exchange participation across the U.S., had previously decided to exit the marketplace in Virginia because of instability in the individual market and uncertainty around the future of cost-sharing reduction subsidies and the health insurer tax. The insurer's change of heart came a day after Sen. Tim Kaine (D-Va.) warned insurers that if they continued to exit markets and leave consumers without access to coverage, Congress would establish a public plan option to ensure that coverage is available everywhere. "We won't tolerate bare counties. We'll provide an option that's challenging to the insurance industry," Kaine said during a Senate health committee hearing on Thursday. "Insurers have to worry about holding a knife up to their own throat." Kaine and Sen. Mark R. Warner (D-Va.) issued a joint statement on Friday saying Anthem's decision to re-enter is welcome news for rural Virginians and called on the Trump administration to "stop their efforts to sabotage and destabilize the markets, which resulted in fewer choices and higher premiums for 2018." Virginia Commissioner of Insurance Jacqueline K. Cunningham said that while the immediate concern regarding bare counties has been averted, the cost of health insurance remains a problem and will continue until the volatility in the market is resolved. An​ edited​ version​ of​ this​ story​ can​ also​ be​ found​ in​ Modern​ Healthcare's​ Sept.​ 18​ print​ edition.